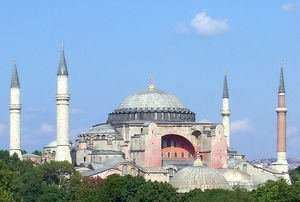 And, on this date, the Hagia Sophia was completed in 537. The Eastern Orthodox Church of Holy Wisdom is considered one of the great Byzantine buildings. It was converted to a mosque in 1453 by the Turks, and in 1935 to a museum.